Choosing the best presentation software for your needs can mean the difference between closing an important deal and blowing the opportunity of a lifetime. Think this is an exaggeration? Just remember how many times a badly designed presentation--with slides chock full of text and outdated animation effects--instantly made you think twice about the credibility of the person presenting their product or idea. Or how a glitch or holdup made you lose your patience. We’ve all heard of death by PowerPoint. You don’t want to be one of those who blow it because they didn’t choose wisely. Luckily, in a post-PowerPoint world, there are a variety of options for every need imaginable. A cloud-base, drag-and-drop presentation software, Visme offers users all the tools they need to create not just compelling presentations, but also infographics, data visualizations, reports, product demos and resumes. Its ready-to-use templates, with HD backgrounds and professionally designed layouts, give users a breather from the all-too-familiar PowerPoint themes. 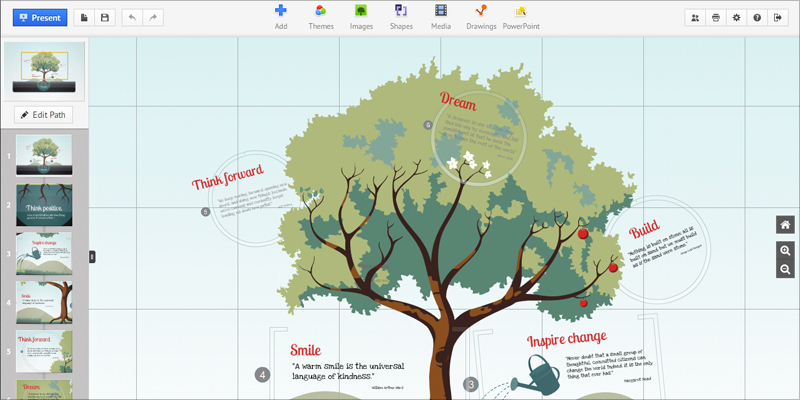 Packed with millions of free images, thousands of vector icons, graph tools in any style and hundreds of fonts, Visme allows users to create virtually any type of visual content in Its custom design area. Publish and share anywhere: Share URL or embed into a site. Manage privacy: Control who can see your projects. Present offline: Download presentation as image, PDF or HTML5. Add animation and interactivity to any element: Insert call-to-action buttons, videos, surveys, quizzes, etc. 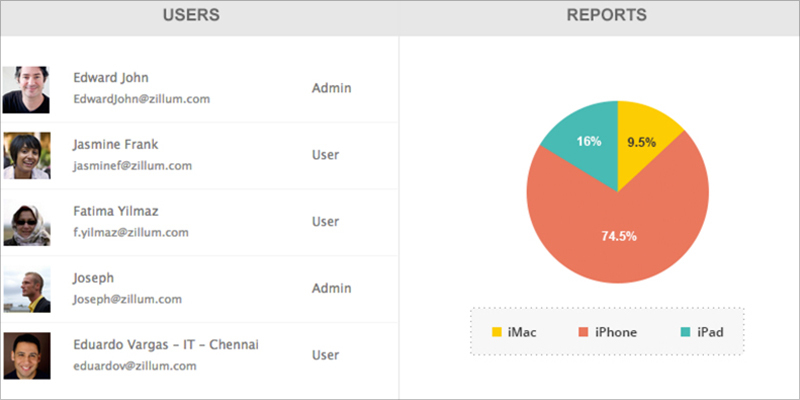 Analytics: Access combined statistics of project views in one place. HTML5-based: Runs on any browser and device. Work as a team: Access collaboration and content management tools. 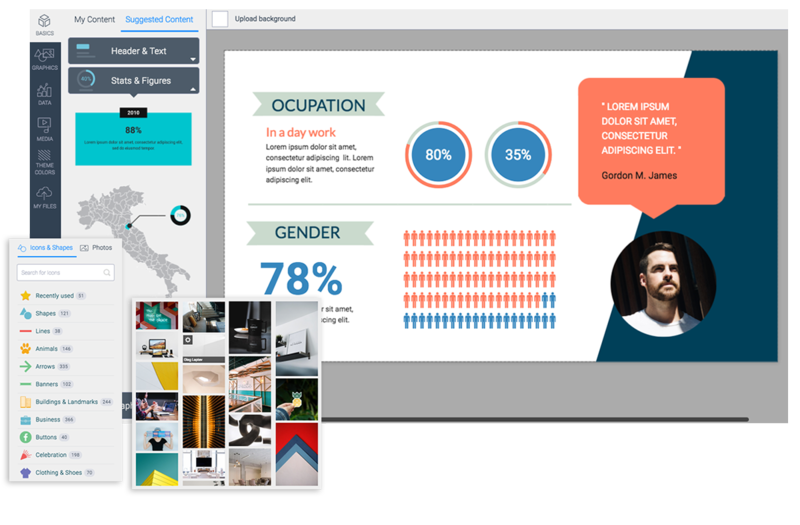 Create visual slides quickly using drag-and-drop blocks of content with visual stats, maps, figures and pictographs. Cons: Due to high level of flexibility and variety of options, might take some time to master all of its features. This cloud-based presentation solution is often considered as a mobile alternative to Prezi and PowerPoint. 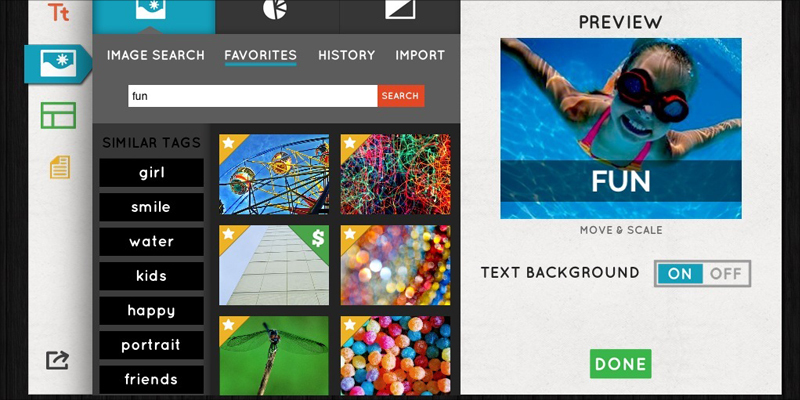 It offers users 27 different templates and 35 million stock photos. Users can quickly create presentations on the go and access and edit presentations from the iPhone, iPad, PC, Mac and Chromebook. The templates are characterized by big bold text and strong visuals. iPhone remote: View and edit slide decks from your mobile device or iPad. Access templates with big bold text and strong visuals. Export presentations to PDF, PowerPoint or Keynote. 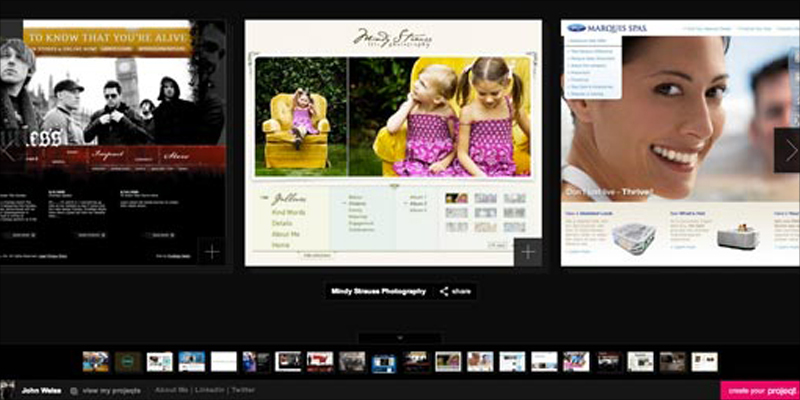 Access professional photos from Getty Images and graph creator. Add private talking points or full transcript to published slides. View slide galleries with the week’s most popular decks. Cons: Customization options are very limited. A simple-to-use presentation tool that uses HTML5, so it runs on any browser and device, including chromebooks and tablets. Designed for those who want to easily create presentations within minutes, Emaze offers professionally designed 2D and 3D templates, as well as the ability to create video presentations that can be accessed from anywhere online. 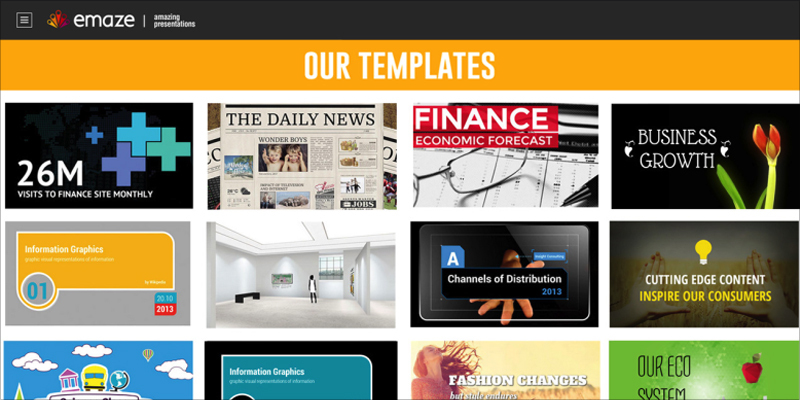 Create presentations within minutes with ready-to-use templates. Share your presentation with anyone in the world using an automated translation tool. Access your presentations from anywhere with this cloud-based software. View and edit your presentations from any device, including tablets, laptops, PCs and smartphones. This cloud-based software is popular for its nonlinear presentations, which pan and zoom from one page to the next without creating the impression of moving to a new slide. View and edit your presentations from any device. Store all your presentations in the cloud. Share and collaborate with others. Use advanced image editing tools. Apple’s alternative to PowerPoint, Keynote is everything you would expect in an Apple product: sleek, sophisticated and intuitive. 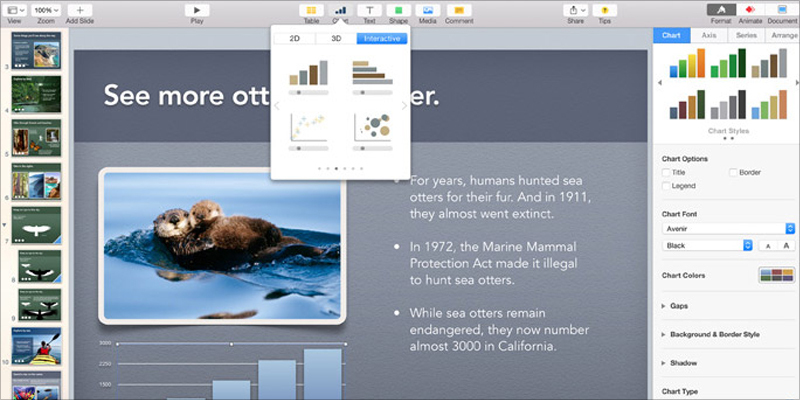 Packed with powerful features--such as the ability to create interactive charts, add reflections and picture frames--Keynote makes it easy to create presentations with cinematic-like transitions between slides. Access more than 30 cinematic effects for text and objects. Make interactive and animated charts. 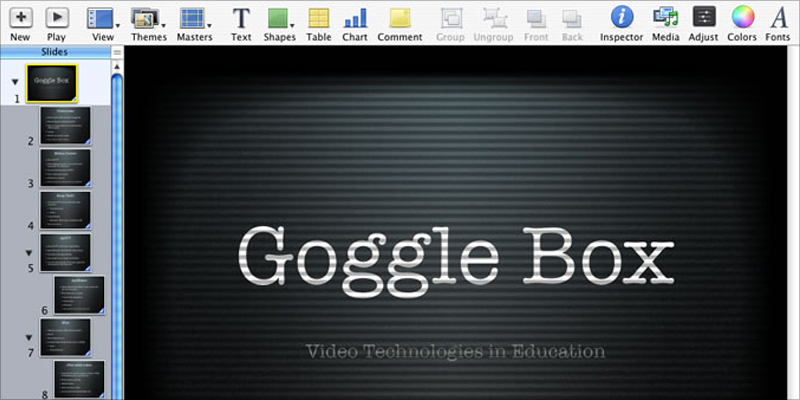 View and edit your presentations from an iPad or iPhone. Access more than 30 polished templates and designs. Import and edit PowerPoint files or save Keynote presentations as PowerPoint files. This alternative is good option for creatives and those who want to create a presentation driven by real-time storytelling. You can pull in RSS feeds, live tweets, Flickr images, YouTube or Vimeo videos into your presentations. Projeqt also enables you to insert audio notes and interactive maps. 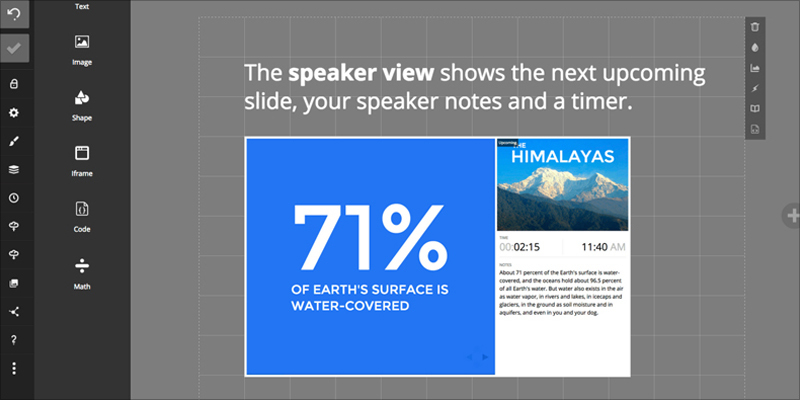 Create nonlinear presentations with multiple layers and sub-presentations. Access and edit your presentation from any device. Insert live feeds into your presentations. Import PowerPoint and PDF files. This cloud-based presentation software offers a solid and user-friendly alternative to PowerPoint. 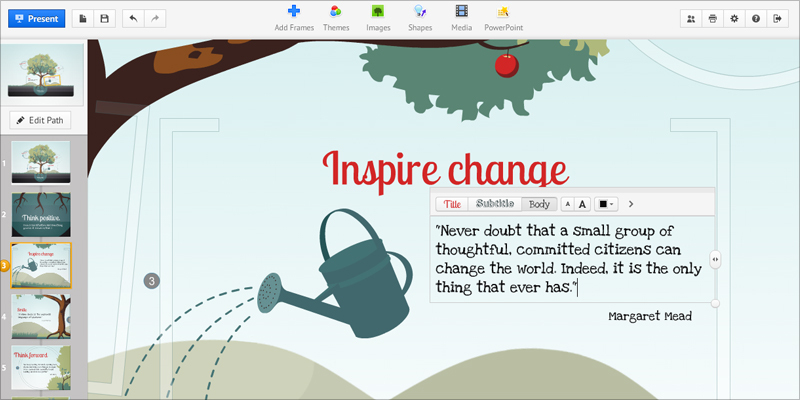 Its sleek editor workspace allows you to add background images, use a variety of designs and themes, collaborate easily with others and customize any of 10 default slides. Edit and access presentations from any device. 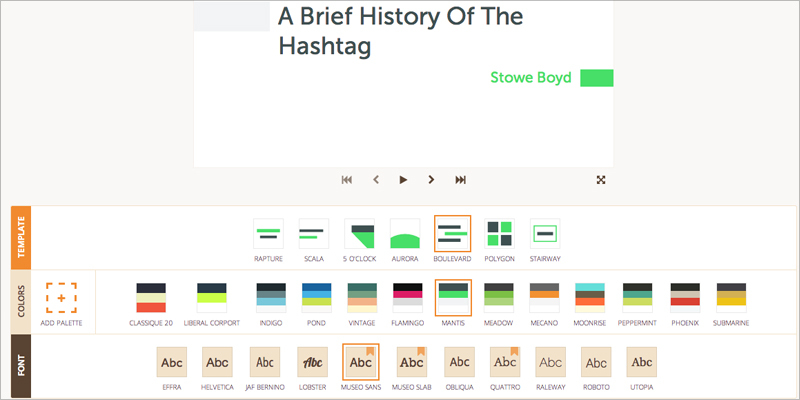 Define your own theme with custom CSS editor. Have you ever experienced the hassle of having to switch between a slide deck, a website, a video player and a PDF file in the middle of a presentation? With Slidedog, your audience doesn’t have to look at your desktop screen as you fumble your way through many different file types. This multimedia presentation tool allows you to create seamless presentations by giving you the power to combine PowerPoint slide decks, Prezi presentations, movie clips, PDF files and web pages into a single playlist. 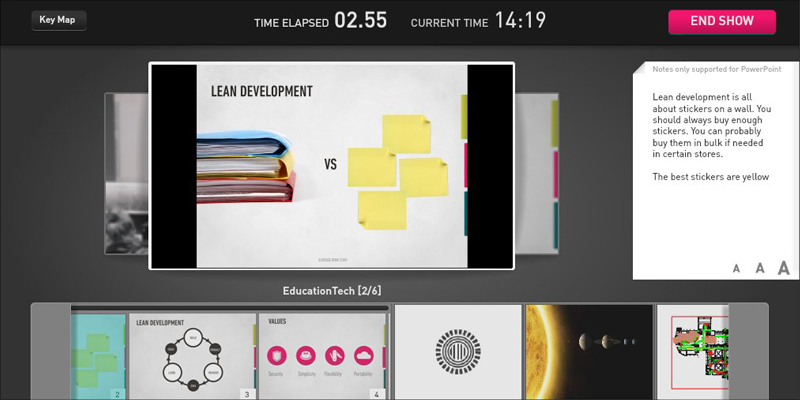 Share slides with the audience in real-time. 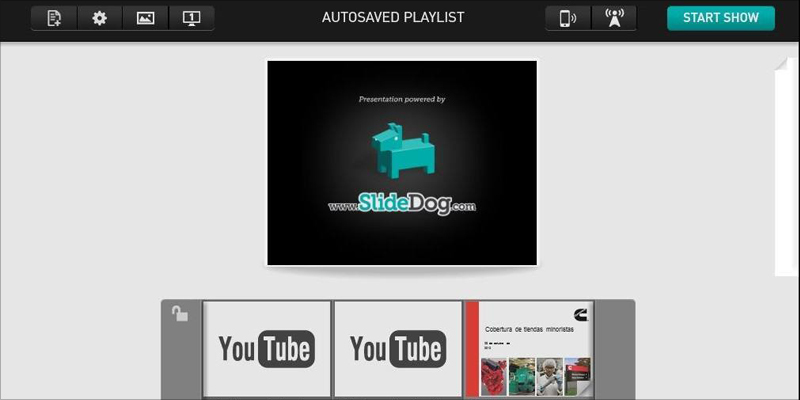 Control your slides remotely from a tablet, smartphone or PC. Engage participants through live chat or a discussion. 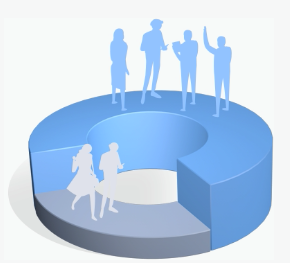 Add polls at any time during your presentation. This recently launched PowerPoint alternative is a good option for all those who don’t have the time to design their own slides. 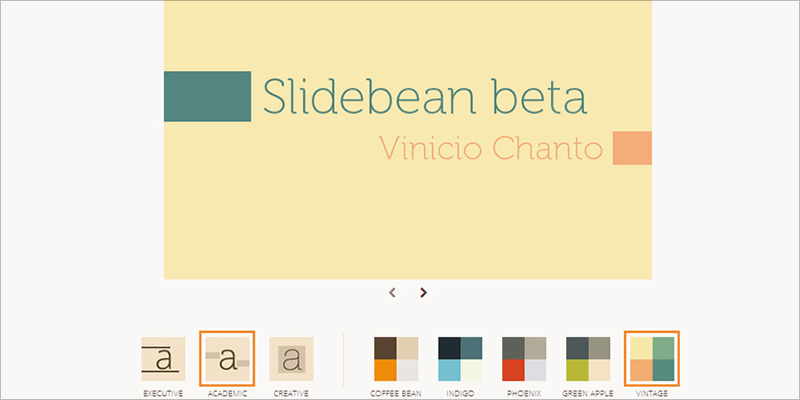 Slidebean’s website promises users that all they have to do is input content and the software does all the design and formatting work for them. Part of a suite of online applications, Zoho Show provides users with a traditional presentation tool that is online-based. Like the other alternatives listed here, this online presentation software allows users to create and access presentations from any browser or device connected to the Internet. Apply eye-catching animations and transitions. Embed live tweets, YouTube videos and Flickr images. Publish your presentations on websites and blogs. Import multiple file types, including .ppt, .pptx, .pps, .ppsx, .odp and .sxi. Use collaborative tools to allow others to edit and comment on your content. Broadcast your presentation from anywhere. 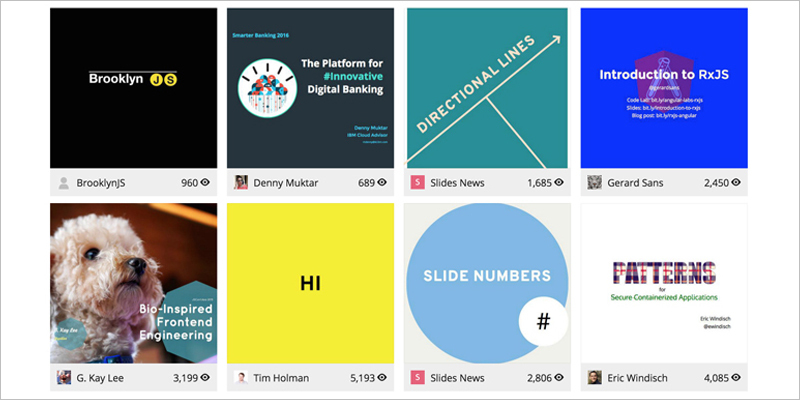 This is our take on the best PowerPoint alternatives out there right now. 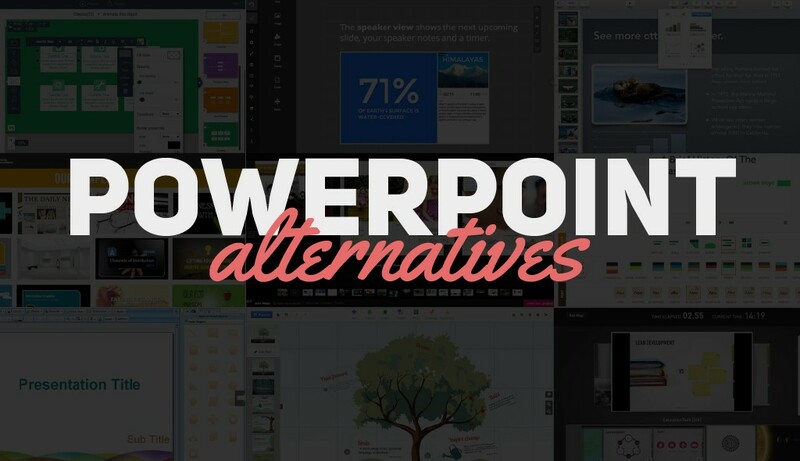 Which of these top-rated PowerPoint alternatives best suits your needs? 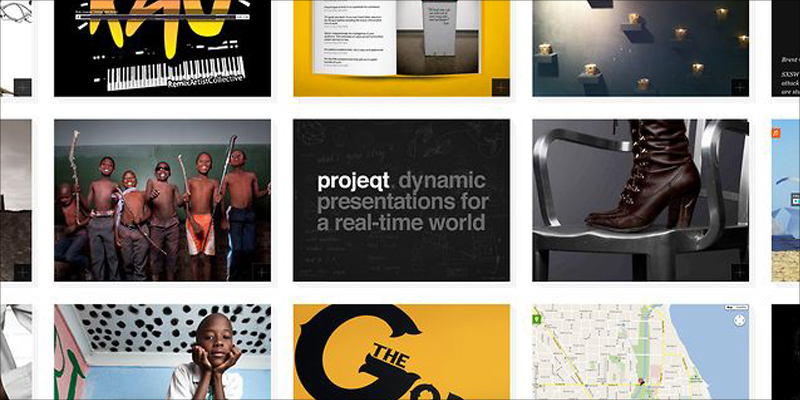 Want to stay up to date with the latest trends in visual communication and visual storytelling? Don't forget to sign up for our weekly newsletter below. And if you have any feedback on any of the tools listed above, we'd love to hear from you. Drop us a line in the comments section below, and we'll get back to you. 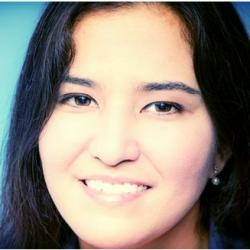 Nayomi Chibana is a journalist and writer for Visme’s Visual Learning Center. Besides researching trends in visual communication and next-generation storytelling, she’s passionate about data-driven content. I’m Aarthi from Zoho. Thank you for mentioning us in the top 10 Powerpoint alternative blog. 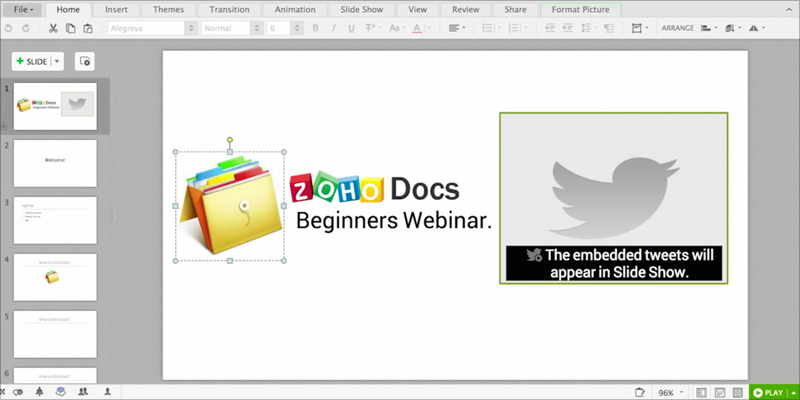 However, the screenshots used of Zoho Show is quite outdated. Our website http://www.zoho.com/docs/show.html will have the latest images. Please do get back to us and once the changes are done (if possible) we’ll retweet it from our official account. Hi Aarthi. The screenshots have been updated with the ones from your site. Please take a look at them now. Thanks. Hi Nayomi. Great list! Have you heard of: http://www.genial.ly? It is a recently launched presentation platform. What do you think? Hi Nayomi, I do a lot of presentations for agencies and video companies and I was looking around for a better presentation software for that that, your article saved me days of reviewing! Thank you so much, really thorough and helpful The one I finally found isn’t actually in your list though https:presbee.com, it’s perfect for me as it allows video backgrounds and streamed content and it has a really cool remote presenation feature. Thanks again for your help, va bene! Hi Francesca, thank you for the feedback. Never heard of Presbee, but I’m glad you found a tool that fits your needs! Interesting site and impressive also, I am really liked your site that you giving or mentioned articles they fantastic. I am impressed with your thoughts and thanks for sharing this article. The review you provided on your blogsite is amazing. I am working on a presentation project to present to trainers of county agencies in California on the various presentation tools available to them. You are so right! Everyone tends to use PowerPoint as the industry standard and I agree, it is entirely over-used. I’m not a PowerPoint hater, however, with more and more people using mobile devices and with the wonderful features of internet-based and cloud-based applications, I am so excited about the possibilities of creating a really dynamic presentation. Thank you for the break-down of presentation tools! The review you provided on your blogsite is amazing. I am working on a presentation project to present to trainers on the various presentation tools available to them. You are so right! Everyone tends to use PowerPoint as the industry standard and I agree, it is entirely over-used. I’m not a PowerPoint hater, however, with more and more people using mobile devices and with the wonderful features of internet-based and cloud-based applications, I am so excited about the possibilities of creating a really dynamic presentation. Nice blog! thanks for writing this useful and informative article and I refer my friends to vist your site and i will be in regular updating. Thanks for the feedback. Glad you found it useful! Prezi is a nice alernative. It has both, a free and a pro version. the fact that you have taken the time to review your competitors openly.. wow, you saved up a lot of time for me. Just signed up to paid account. Thanks for comment, Sebastian. We always appreciate feedback! I found Haiku the best. Visme’s features & options are also appreciated. Thank you for the best compilation. Thanks, Yasar. Glad you found it useful! It’s really great to see businesses who are fairly representing their competitors! I’m just starting up the blog for our own platform over at SlideCamp and very much hope to be able to get the same respectful level as you’ve shown in this article. That said, as number 6 – Projeqt has ceased to be around anymore, if you would consider taking a look at our platform, and popping us in instead we’d be super grateful. We have a very simple online platform for teams to get their slides from without the fuss. Good content! I need a not-cloud-based alternative, due to absence of wifi in one place where I present. I saw some in your list. PowerPoint is old and stiff and rigid and too much in charge. I’ll probably try Keynote first, cuzz Apple tends to be about freeing up for creativity, whereas Microsoft is always about productivity. Boring productivity…. Congratulations on your post, it is very complete. We don’t know if you have used Genially before but it is a very useful tool to create animated and interactive content very easily. We think it will be very interesting for you to take in consideration Genially in your next articles. Good list- one issue with the idea that people remember only 20% of what they read but 80% of what they see. Unless you are reading braille you are seeing what you read- and there isn’t any scientific basis for the numbers quoted. Use post. 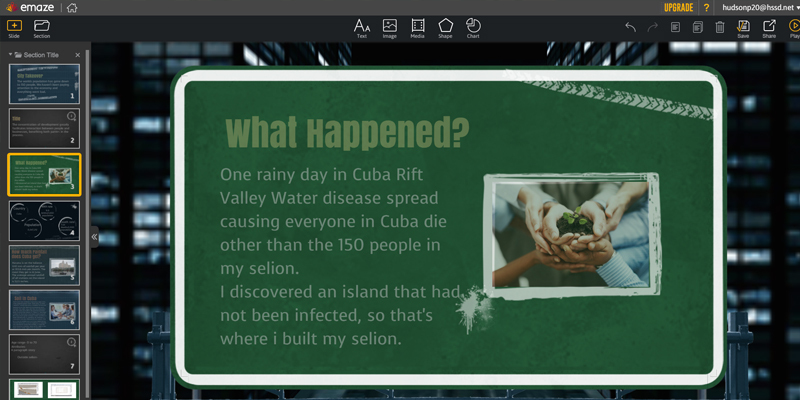 I’ve been using powepoint, but I wanted to try something else for a smaller presentation as a test. You might need to update your list already. Projeqt is no longer active according to their website. Thanks for the feedback. Have you tried any of the others on this list? I liked them all, but would like to try Emaze first. What did you think of it? have you tried any others on the list? Thank you for your information. I love the premise of SlideDog however found operationally it was very slow and non-responsive. It would be amazing not to have to transition between the multimedia I use to teach my class and am always looking for new tech to keep students engaged and participate in learning. Thanks for the input. Have you tried any of the others on the list? Thanks for the article! Sutori is now offering a presentation mode. I recommend you check it out, I’ve had a lot of success since moving away from Powerpoint. Thanks for the feedback, Robert. Will check it out. Have you tried any of the others on the list?